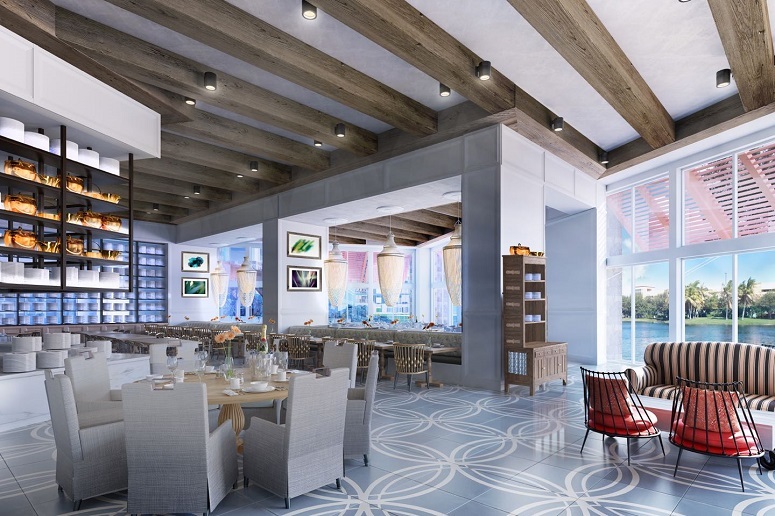 Earlier today, the Universal Orlando Resort officially released some interesting information about one of their newest hotel, Loews Sapphire Falls Resort. 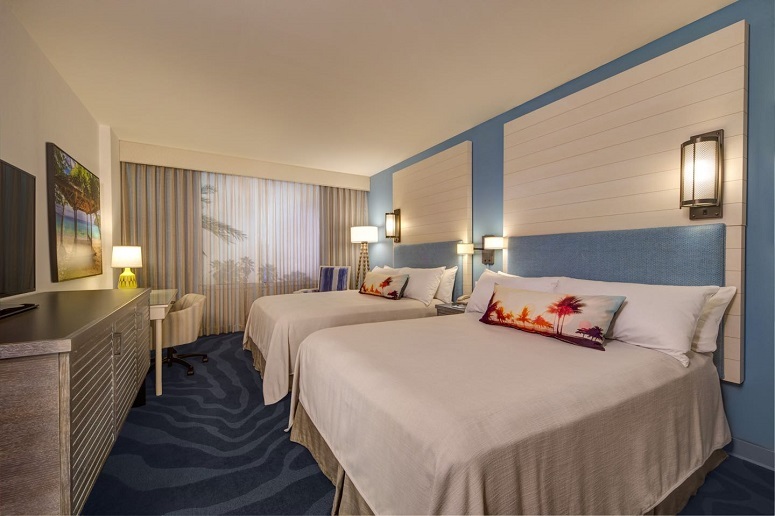 This new resort will open its doors in 2016, becoming the fifth on-site hotel at Universal Orlando. 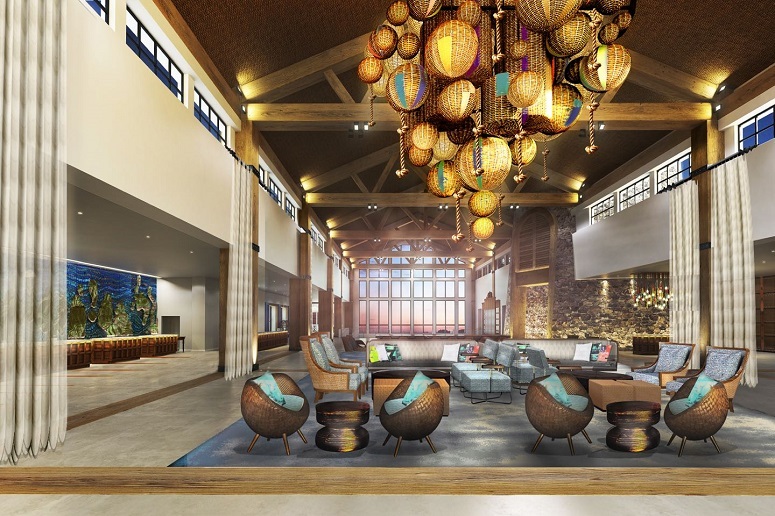 To build on the excitement (themed hotels can definitely be a very important part of the overall Guest experience), the official blog of the resort released new renderings showing areas that will be found within the hotel. The hotel's 16,000 sq. 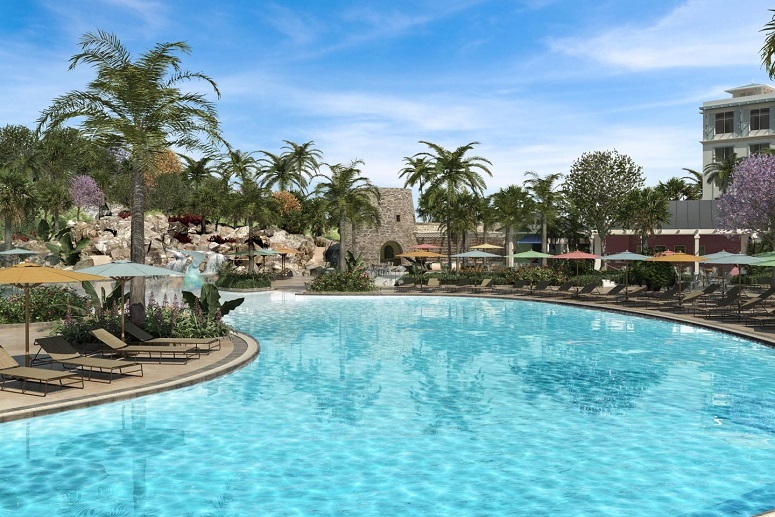 ft. pool will feature rockwork, a waterfall, a water slide, and a massive fire pit right next to it (according to the blog, it will be the largest pool across the five on-site hotels). 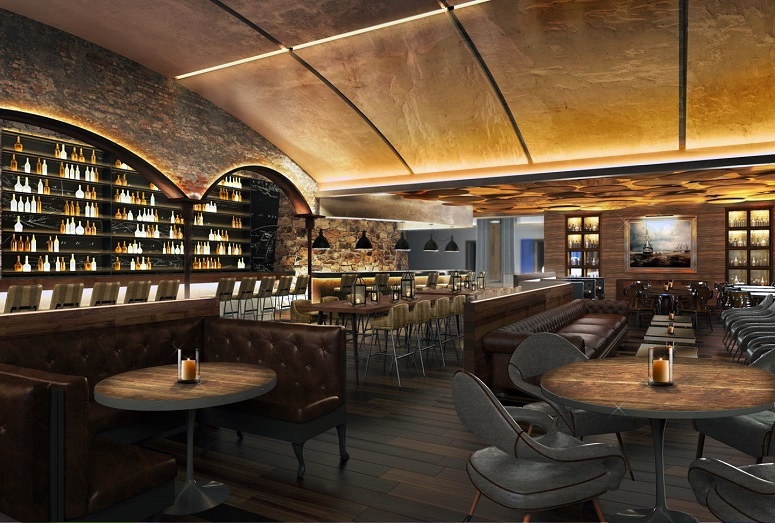 The hotel will include 1,000 guest rooms and 83 suites. 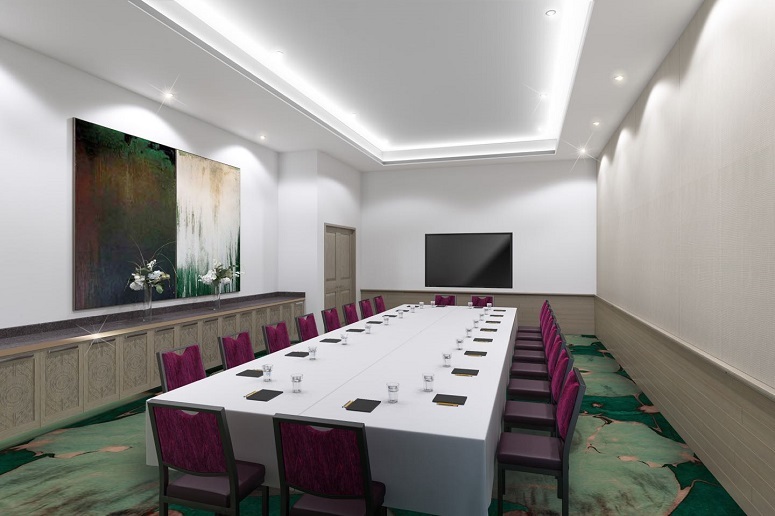 The rooms will feature amenities like free wi-fi, a flat screen TV and incredible views (prices change based on the location of the room, of course). Amatista Cookhouse – With an open exhibition kitchen, you can watch chefs prepare Caribbean fare right in front of you for breakfast, lunch, or dinner. This restaurant will overlook the lagoon. Universal Orlando character appearances with some of your favorite theme park characters. Those interested in booking a stay or wanting more details on hotel benefits should click on this link. PHOTOS: ©2015 Universal Orlando Resort. All rights reserved. No express pass? It looks very nice and would try it out if they offered express pass. 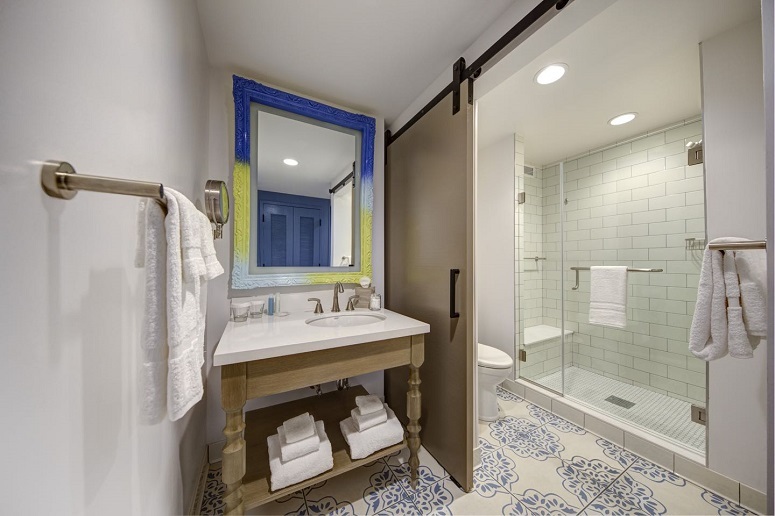 I know these are just impressions, but I am a little disappointed with the room and bathroom. The basic size and layout look the same as cabana bay. Would have expected bigger and different seeing as this was supposed to be moderate to deluxe whereas cabana bay is supposed to be value to moderate.